As reliable as PDF file format can be on a desktop, it can be difficult to manage on a mobile device. 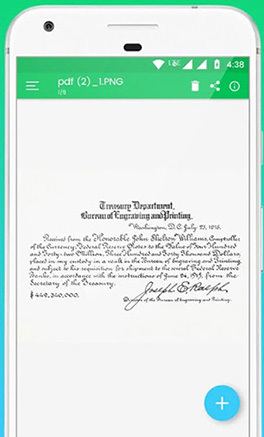 Yet as the business world meets the mobile app world, we have to find a way to read PDF files on mobile devices without the need to open browsers or find the elusive and sometimes ineffective PDF reader apps. 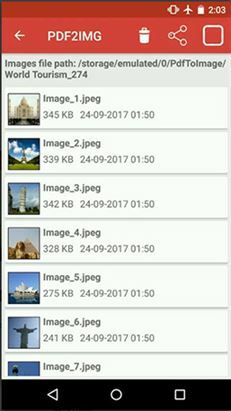 An App to convert PDF to JPG becomes a great solution to this problem since JPG is a common format for both Android and iOS devices. If you have ever wished you could find the best PDF to JPG converter App for your device, you're in the right place. 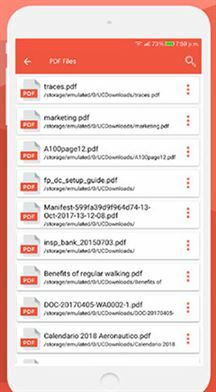 Here, we will outline the top 5 PDF to JPG converters for Android and the top 5 PDF to JPG iPhone converters. It is the most popular PDF to JPG converter App simply because it is very easy to use; almost self-explanatory. This is the premium version of the PDF2JPG app which means it is not free. But where the free app is limited, this one allows you to convert PDF to JPG as many times as you want without limiting the size of the file. It can be used on both Android Tablets and Phones. You can't set the resolution of the converted JPG file. This is a completely free PDF to JPG converter for Android that is also available for Android tablets and phones. It is also quite easy to use and has a feature that allows you to split the pages on the PDF into separate images. It has a simple user-interface making it very easy to use. Conversion can be done in only two steps. It will not recognize any annotations on the PDF. Sometimes the resulting JPG files can be distorted and overlapping. It can't convert a file that is too large . This PDF to JPG converter App is available for both Android phones and tablets and is very easy to use for converting PDF to JPG format. Once you have selected the file you want to convert, all you have to do is long press on the file and select “Convert to Image.” Perhaps the only downside of this app is that you need to be connected to Wi-Fi to use it. The app provides a user guide even though it is very simple to use. You can easily share the converted images from within the app. You need an internet connection to use it. 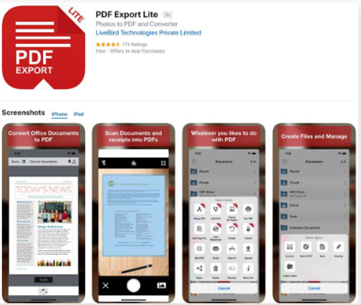 The App to convert PDF to JPG is an ease to use PDF to JPG application but only to extract images from a PDF document. It will not convert the entire PDF document into an image. It is free and when it comes to extracting the images, it will do so almost perfectly. It is also completely free. You get options to store and share the resultant images after conversion. It can't be used to convert the entire document to JPG. 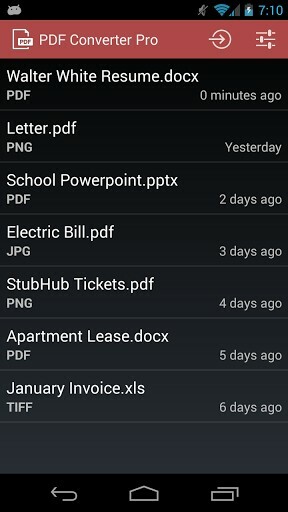 This is a more complete Android PDF converter based on the fact that it can be used to convert a PDF to just about any other format including DOC, JPG, BMP, PPT and may more. You also get the option to share the converted files from within the app. It can be used to convert PDF to a lot of different formats. It easily integrates with social media apps like Facebook, Gmail and Google+. Its OCR function is not great. 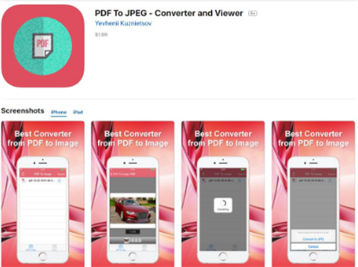 It is one of the most popular iOS Apps to convert PDF to JPG on iPhone for the simple reason that most people find it very useful and very easy to use. Aside from converting PDF to JPG, it also comes with a lot of other functions like the ability to edit PDF documents easily. It is also free although you it does offer in-app purchases for some features. It is easy to use and free when you want to convert PDF to JPG. It also has a lot of other functions like editing and merging PDF. 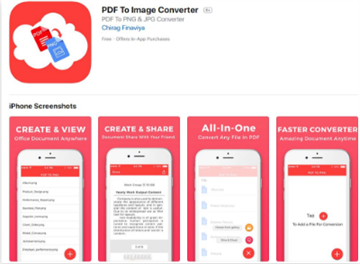 As the name suggests, this app is primarily ideal for the conversion of PDF to JPEG. It is highly effective especially when it comes to the quality of the output file regardless of how large the original PDF document or image is. It can also be used to extract images from a PDF document. It is very effective in the conversion of PDF to JPG, retaining the original quality of the image. 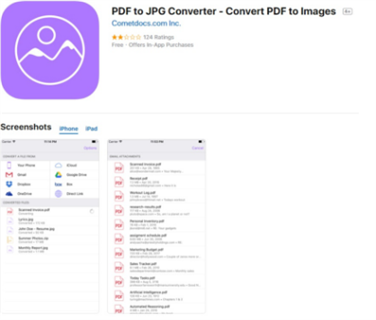 This is another great tool to help you convert PDF to JPG on iPhone with ease. The quality of the converted JPG files is very good and the app does also come with features that allow for light PDF editing. It can convert all PDFs regardless of size. The quality of the converted file is very high. Some features are only available with in-app purchases. This is one of the most impressive PDF to JPG applications for the simple reason that unlike most of the other tool we've seen here, it is fully compatible with Google Drive, Dropbox and other cloud storage options. The output quality is very good. If you are looking for an application to convert PDF to JPG and also offers the perfect balance of simplicity and effectiveness, this one is a great choice. One of its major advantages is that it can convert PDF pages into individual JPEG images. It supports multiple languages and is very easy to use. It doesn't have a lot of additional PDF editing features. Sometimes the best way to covert PDF to JPG is to use a desktop tool. The best one to choose is iSkysoft PDF Editor 6 Professional for Windows (or iSkysoft PDF Editor 6 Professional for Mac) for the simple reason that is comes with a lot of features all designed to help you not just convert PDF to JPG but also manage PDF documents. It can create and convert PDF documents in a single click. It has an OCR feature that is handy for the editing of scanned or image-rich PDFs. 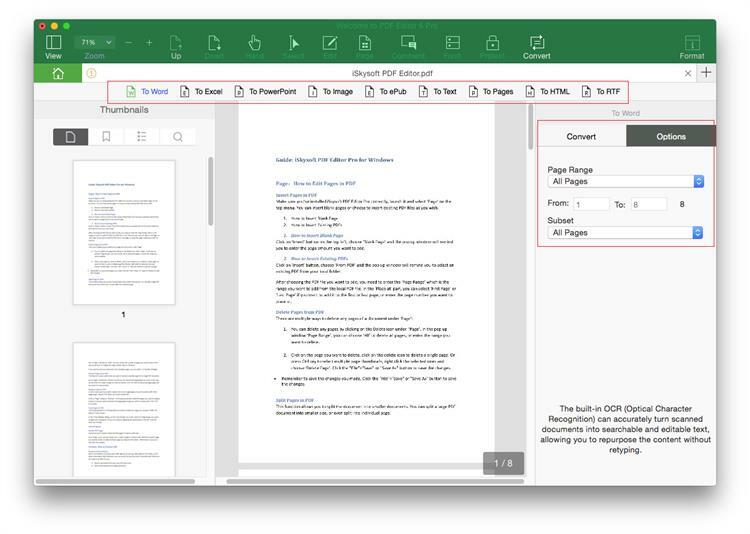 The markup features are ideal for annotating a PDF document. You can add stamps and comments to the document or even highlight, strike-through and even underline text. 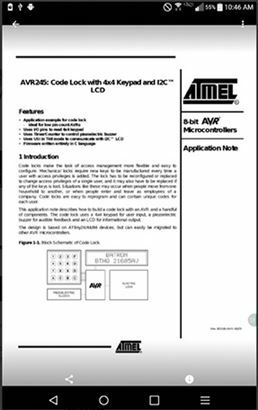 It has great document protection capabilities including the ability to add a password to a PDF document.